Great cursor SD I love the animations during resizing. It is worth wile to shrink it with CursorXP to fit my 1024 Desktop. I love the animations during resizing. Hmmmmm...It is "different" but then thats probably what makes it *Awesome*!! You're welcome and thank YOU, DZ!! Another masterpiece! Very well structured. I can't get over your unique designs SD....5 STARS!!! Starkers, I'm not sure if I'm becoming good or not, but I know it's fun to do I'm glad you like it. The next ones will have a bit of color. Thanks, as always, my friend Cavan. As much as I love the work of other cursor makers, there is no doubt in my mind you are the best of the bunch. I don't say this to take away from others, simply put, you are setting a standard for others to achieve. Thank you for your contributions to the skinning community. 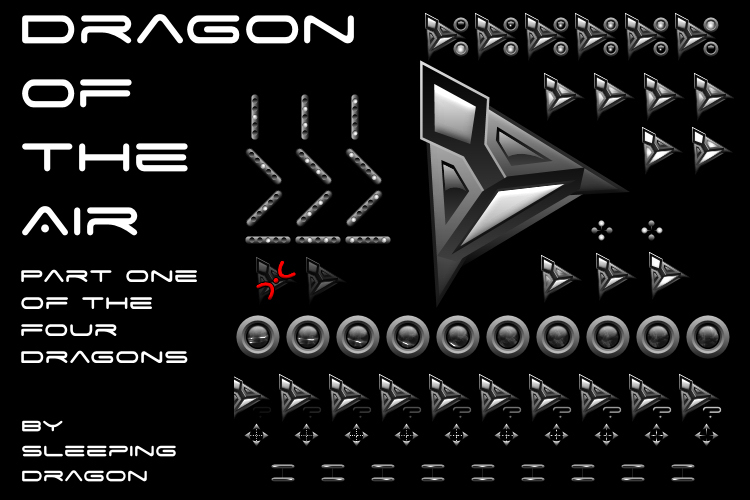 SD, I always have wondered what graphics program do you use to create your work of art cursors? Another excellent cursor Bill! Will be patiently waiting for the rest of the series, as I know they will be as awesome as this one! The Root, I can't begin to tell you how much that encourages me. I'm a long way off from where I would like to be, but as long as there are those who appreciate what I am doing, I will keep on keepin on. Thank you!! Thank you, Perfect Husband. I wish I had been better at it ...the husbanding thing I use Paint Shop Pro (version 9) and put the animations together with Jasc Animation shop. Thank you, GooberBean. The rest of them will be similar but different . Glad you like it. You're welcome and Thank YOU, Amy. Thanks, Black Xero!! I appreciate that. Very crisp and clean! Excellent cursor set! I'll be back looking for the other "elemental" sets! I'm starting to feel like a broken record ! Better than anything out there ATM, until you make something else, lol. It never sounds old to me, 3507321C. Thank you. A great example of what a 5-star rating is for. Excellent is every way. Although... here it comes.... any chance of making some colorful versions? Sorry to ask, but color adds so much IMHO. It would be a good one, But its too big. I look forward to the next one in the set.